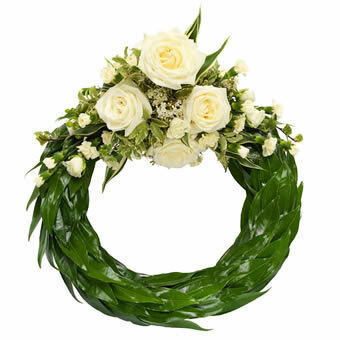 A wreath wrapped in greenery with a lovely decoration on top. It will typically contain flowers like roses, carnations, viburnum, hypericum and seasonal greenery. An elegant and lovely way to say goodbye.